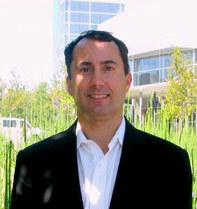 Greg was an industry analyst with Dell’Oro Group from 1998 to 2011 during which time he created and/or managed approximately half of the company’s research programs. Specifically, he created the company’s coverage of the Layer 3, Layer 4/7, and 10-Gigabit Ethernet markets, and created market research practices covering the Wireless LAN, Mobile Infrastructure, IP Multimedia Subsystems (IMS), and Wireless Packet Core markets. All of these programs were at the forefront of market research and were standards for quantifying market shares and understanding technology shifts. He has also held several positions in high technology sales finance and operations, corporate finance, and corporate planning and development. Greg is a frequent speaker at industry events worldwide, contributes articles to various industry publications, and is often quoted in leading trade and business publications. He holds a BS in Economics from Carnegie Mellon University and an MBA in Finance and Marketing from Washington University in St. Louis.